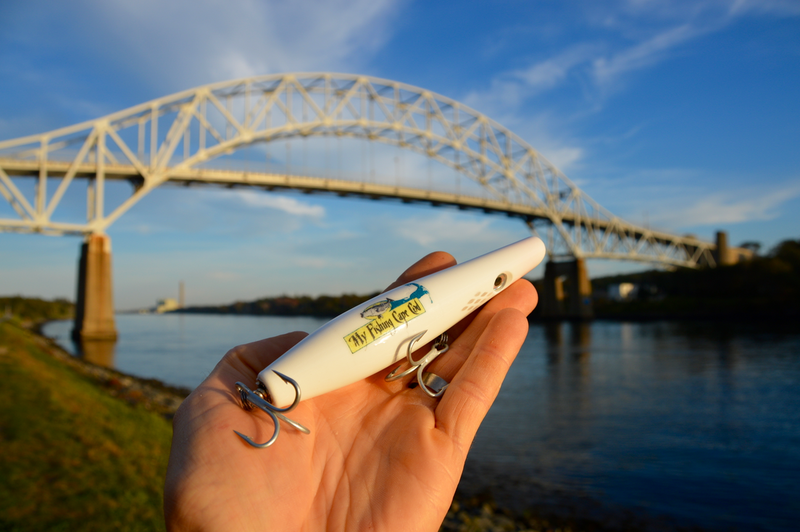 For the past 10+ years, the Guppy Lure Company has been crafting high quality pencil poppers which striped bass love. 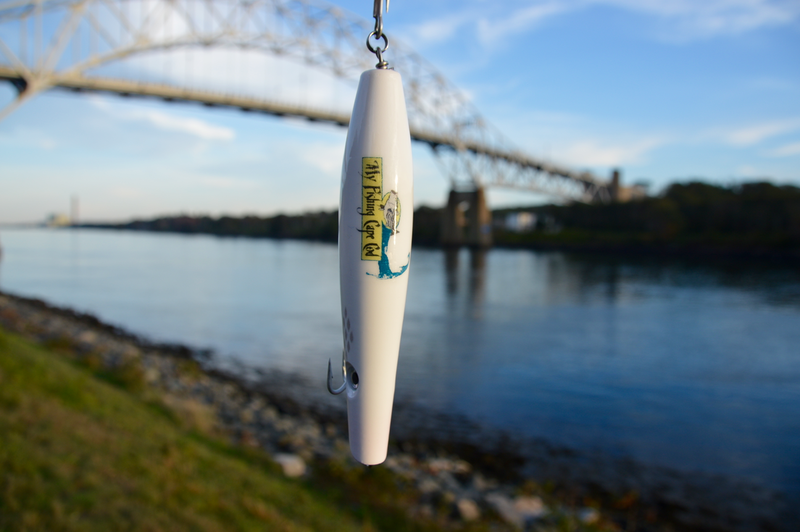 Today I am pumped to officially welcome Guppy Lure Co. as a team sponsor of My Fishing Cape Cod TV. It is terrific to have the Hess family involved in this new television project! On Thursday October 26th I randomly selected the following 3 winners who will receive a My Fishing Cape Cod Guppy Lure in the mail. Thank you to all who entered and congratulations to the below winners! During my meeting with Wayne Hess (co-owner of Guppy Lure Co.) he mentioned the idea of doing a "Guppy Giveaway" for fans and members of My Fishing Cape Cod. Then Wayne showed me the custom 2oz My Fishing Cape Cod Guppy Mini pencils he had created. Needless to say I was quite excited to start blogging about these plugs and give some away to 3 lucky My Fishing Cape Cod fans! These 2oz Mini pencil poppers cast exceptionally well and can withstand big fish. I use them all the time when fishing from the beach, and they will also work well at the canal, especially when the bass are keyed in on peanut bunker. All you have to do to be entered to win one of these 3 plugs, is leave a comment below letting me know you want in before 11:59pm this Wednesday October 25th. On Thursday I will randomly select 3 winners from all those who leave a comment below, and I will mail out the winning lures this coming weekend. Please leave a comment below to be entered. Any chance those Poppers will be made available for purchase on the site? I will contact Wayne right now and see if he is able to turn some more MFCC pencil poppers. I think it might be destiny seeing as the photo of the lure was taken in the exact spot I was fishing last weekend. Count me in and good luck in CR!! Can’t wait to send in pictures of some cows I catch with one of these! Cool giveaway Ryan. Thanks for the entry opportunity! Never have tried a topwater for stripers before. Count me in for the guppies please!!! This thing looks awesome!! Hope to get lucky!! Good luck everyone!! That would look good in my bag! I’d love a chance in the drawing! Started my 8 year old surfcasting this fall and he fell in love with the surf. Cant get out of the house without him now. Would be a great start to his plug bag! I’m still crying over my lost blurple needlefish at Martha’s Vineyard, but hey, I’ll take this PP – I’ve seen Ryan catch on it, so I know it works! Would love the chance to win a Guppy Lure!!! Count me in, hope to win! Tight lines! Get me in the 50lb club! My “comment below”! Lord knows I could use another. Good luck everyone and tight lines! The crack cocaince of the striper world. I want one! The beauty needs to see Nauset Beach! I’m in for the popper! Season starting in NJ, count me in. Guppy is my go to plug both at the Canal and on the beach. This plug would come handy for my Block Island trip. You’re going to Block Island Papi? That sounds very cool. I’ve always wanted to go there. How are you doing that? Is it through a tour group or something? I’m sorry Dex, but it’s a very exclusive group of only top notch MFCC fisherman led by some guys name Dex and Ned. Perhaps when you get a few years under your belt, you’ll make the invite list. If you can’t fish, you can make Paella. I need this in my plug bag!! 2 of my favorite brands. Can’t go wrong! I WOULD LOVE TO TRY ONE OF THESE! i live in connecticut and still yet to catch my prized cow! help me out here bro!! count me in for the guppy, thanks! nice addition to my tackle. Thanks for the drawing. I’m in, thanks for the chance. Guppy’s are my favorite pencils! Thanks for the opportunity Ryan. My sons, Nate and Ian, and I are learning to fish the canal. Please enter us! Thanks again! Would love a chance to win one! I tried to find Guppy this summer, but they seemed to go out of shops as fast as they arrived. Count me in. Would be proud to sling a new Guppy lure! Would love one of these cool lures. Thanks Guppy!! You are the best motivation for the sport. Finally caught a nice fish( 38”)in the canal this year. Thankfully, since I am a frustrated Montauk surf caster this year. Will the fish in Costa Rico hit on that popper? Looking forward to reading the posts about the trip. Thanks very much, include me too! Guppy Lures are the best!, please enter me in on the drawing, Thank you and tight lines to all. I want a Guppy Lure Pencil Popper! Thanks for the contest. Hope you will sell these too. Tuesday September 12 2017 the day before Jose hit I finally crossed the 50″ threshold at the canal with a 2 3/8 mini in chartreuse. Would love to be entered in the giveaway. I caught a nice fish with my MFCC plug a couple of months ago, video at https://youtu.be/otRRJxxu0iY. Could always do with another! Would like to be entered in the Guppy drawing. Will like to try it here in Sslem Harbor. Got three over 30 on the Guppy this season. Shooting for four over 40 next year. Count me in please. What a great promotion! Love the logo, please include me in the “Guppy Giveaway”. I would sure like to give my guppy a walk on the water!!!!! Looks Great! Send one here Please. Im in! Thanks for the chance! Awesome lookin lures! Guppy lures are great! So is MFCC. I’m in. The perfect next addition to the surf bag!!! Great lures!!! Please enter me in the running! “Produce”….. Count Me In !!! Way to go, ryan. Who wouldn’t want one of the best casting/easy to work pencils in my capecod white. Thanks for the chance. Wow…nice! 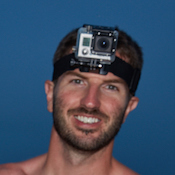 would love to have one try….enter me in the drawing! Yes please. Thanks for the opportunity. Please enter me in the drawing for the Guppy Lure! Thanks! Please enter me in the guppy pencil drawing! Thanks! I’m in the Cape from Canada this week, and actually went looking for a pencil popper tonight and didn’t find one. Absolutely LOVE Guppy Lures. Lost my favorite Jobo Jr 3oz in Dirty Mackerel to some big yellow eyed beast last month. But Wayne Hess was super helpful in tracking down a replacement. Would love to add this MFCC special edition to my Guppy collection. Please enter me for the drawing. Thanks! Guppy Lures are great!! I’m in!! Ryan I have lost a few fine Guppy pencils in the canal this summer. That one would complete my tackle box for sure! Tight lines and guppy lures go together like peanut butter and jelly!!! Please enter me in the contest .Thanks! Look great. I’d love to throw one of these! Im a 15 year old who just started fishing on the south shore of mass last year. My biggest striper was a 27 Inch on a savage gear diver. I’m hoping to get my first keeper before the fast closing season ends not to eat but to say I’ve caught a keeper. Would love to add this popper to my collection as I don’t currently own a pencil popper only plugs and divers. Guppy’s are the best top waters in the game! Especially a custom my fishing cape cod one! Definitely wanna win one. Would love one of these. I can use all the help I can get! My brother works as a chef on Nantucket Island and fishes for fresh Blues and Stripers. This Guppy would be great for him. Thanks for the opportunity Ryan!!! Would love a chance to win that custom sweetheart!! Best pencil on the planet in my opinion!! Hopefully I’m in on that!! Love the guppies. Please enter me. Thanks for the opportunity to win a Guppy Pencil! The best producing lure. I don’t mind having another one. I have 3 of them and they do catch fish. Even in the canal. I have 3 of them and they do catch fish. This would be perfect for the Block Island trip next month! I would love to win one of these! Thanks for the chance! Nice offer be nice at the canal . Love using pencil poppers but have never used a guppy plug. Looks like a plug I would use a lot in the surf! Would love one to add to the arsenal! Good looking lure. Hope to use it before the seasons over!!! Need me a Guppy Lure! The guppy lures work great in the canal. Sign me up! Would love to add this to the arsenal! Would be great to get one with this off the docks in Charlestown, the bass have been smashing bunker over there. Please add me in the contest Ryan, thanks! I want in to win the Guppy lure. Need one of those poppers!! Feeling lucky since i landed my first albie yesterday, let’s see if the luck continues. Thanks for the giveaway opportunity. I’d love one. These Marshfield bass are so picky. Yup! would love a Guppy lure! I bet my season would of been better if I had a couple of these lures in my tackle box. Sign me up Ryan. Would be awesome to add one of these to my arsenal!!!! Wow I bet those mini pencils! I know a lot of guys that throw nothing but guppy on top! I bet those mini pencils fly! IM IN! Thank you Ryan!!! Sign me up. Did good with white on my trip. That logo will attract something fishy. would love to add to my bag! Sign me up. Been following for a long time now! I need this in my bag! White is a great color. And it’s got the MFCC logo, so it must be lucky, right?! Sign me up. 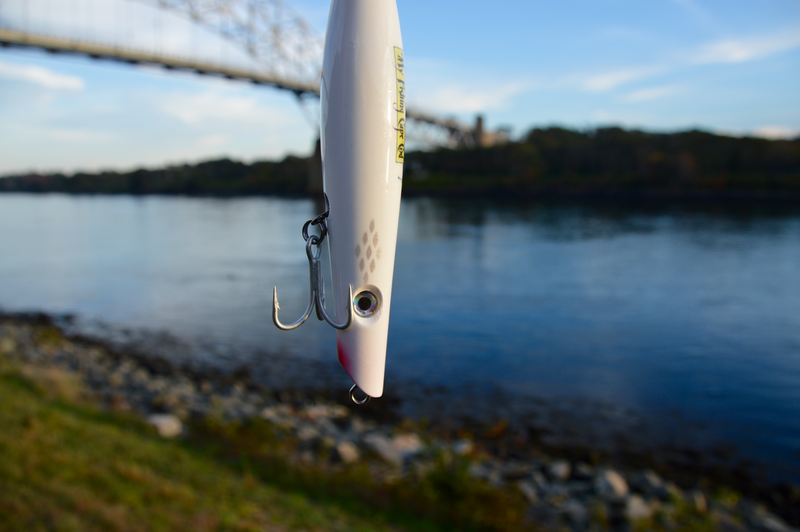 Looks like a very nice guppy popper, Love the My fishing cape cod logo on it. Thanks Ryan! Sign me up the last schoolies of the fall run would love this up here in Saco Bay! I lost a guppy pencil popper last weekend, perfect time for a new one! I’m in and thank you for the chance! Tight lines and keep doin what you’re doin!!!! I’d love A Guppy Popper for my Cape Cod Canal fishing expeditions while camping at Scusset Beach State Reservation Campground. Ryan, are you sure the MFCC logo won’t scare stripers away. I’d love to find out!! Would love that plug to cast. Count me in. Thanks for the opertunity. Sign me up! My favorite plug. Awesome. Please enter me in the giveaway. Sounds great, you’re all set Chris. Very cool to have Wayne on board! Great guy and great (the best?) plugs! I think Guppy plugs probably accounted for 50% of all bass caught this year for me. Guppies are a well made product and the Hess crew is a real nice family. Pumped to hear you’ve had such great success with their plugs! Ryan, count me in and perhaps I will be a lucky winner to try one of these beautiful Poppers! Sounds great Ron! You’re in the drawing! Please enter me in the Guppy give away. Thanks. PS. Got a dozen schoolies on turn east today around Pole 115, Cape Side. One keeper size fish on white Guppy pencil. Perfect, will do Jim, and thanks for the report. How big was the keeper? You’re in the drawing Jim, thanks!